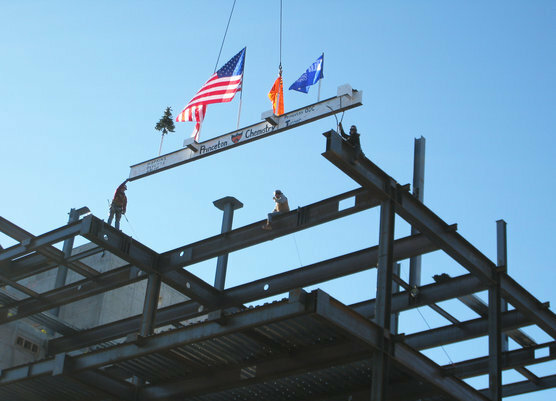 Four flags are now flying over the New Chemistry Building as construction has reached roof level. The flags recognise the diverse nature of the design and construction team working on the project. When complete in 2010, the building will set a new benchmark for low-energy research laboratories and help raise the profile of the University's work in Chemistry.